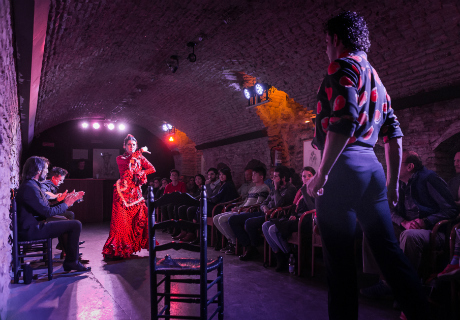 The Museo del Baile Flamenco´s VIP show, Flamenco Íntimo, takes place under the historic vaulted arch with roman architecture and features a cappella music and singing. 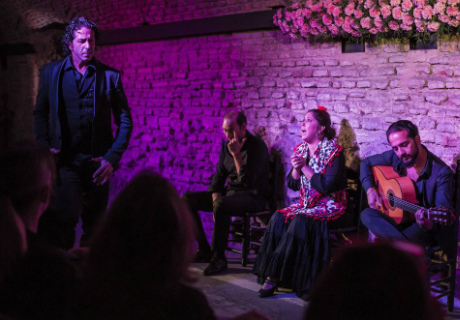 During the show, the audience members are in great proximity to the artists so that they can see their passion, effort, sweat, and even hear their breathing… it’s a way to experience flamenco in all its splendor. 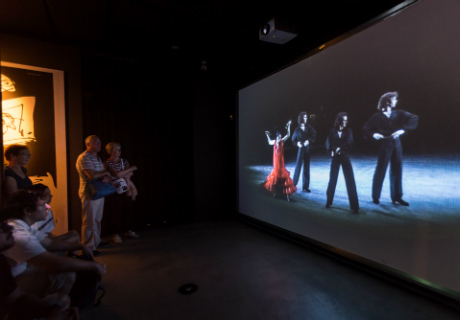 The Flamenco Museum in the same building is also very impressive and is perhaps one of the most modern museums in Spain. 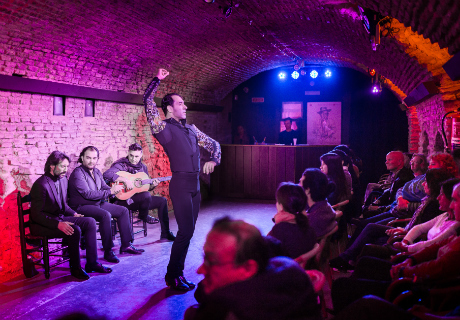 The origins and evolution of flamenco, with different styles of music and dance, is shown with interactive exhibits. 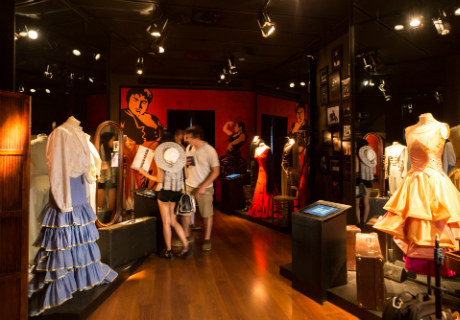 The music, videos and costumes presented for illustration are extraordinary. 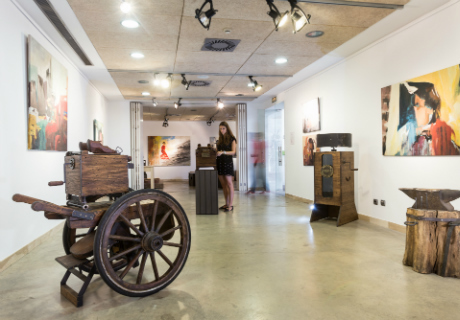 In addition, the museum also offers various workshops and exhibitions with paintings, photographs and drawings. 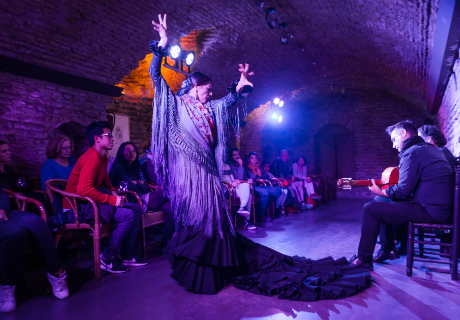 One of the available workshops in the museum is, for example, introductory flamenco dance lessons. *Children: There are no special prices available. 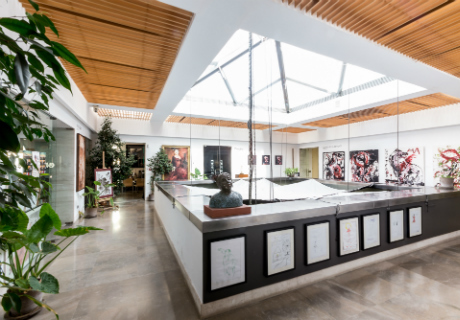 Children under the age of 6 are not allowed to enter.